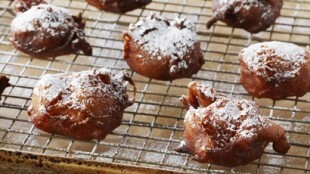 In episode Doughnuts of TV show Bake with Anna Olson prepares Anna Olson recipe for Easy Apple Fritter Doughnuts. 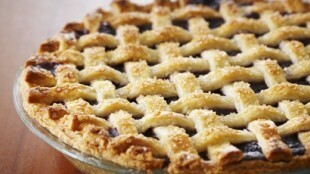 In episode Fruit Pies of TV show Bake with Anna Olson prepares Anna Olson recipe for Blueberry Lattice Top Pie. 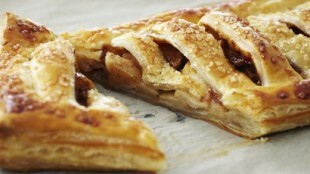 In episode Strudel of TV show Bake with Anna Olson prepares Anna Olson recipe for Caramel Apple Jalousie. 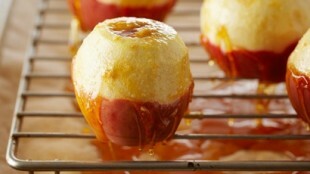 In episode Creme Brulee of TV show Bake with Anna Olson prepares Anna Olson recipe for Baked Apple Crème Brûlée.